Imprint Method: Pad Print - Framing your next great promotional campaign will be easier than ever with this digital 7" hi-resolution desktop photo frame! 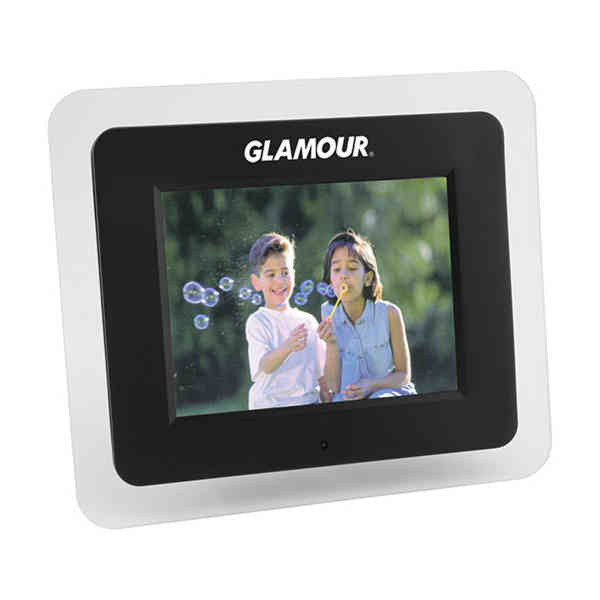 This eye-catching item measures 9 1/8" x 6 3/8" x 1 1/4" and features 128 MB of built-in memory, as well as a two-channel built-in speaker for full audio support. Play a slideshow with music running in the background or even watch a movie (MP4 support only). It also has memory card slots, a full-function remote and a USB host input for direction connection of digital cameras. Customize with a brand logo to create a picture-perfect giveaway. Wistful. Size: 9 1/8 " x 6 3/8 " x 1 1/4 "